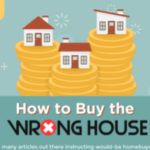 The decision to become a first time home buyer is one which cannot be taken lightly. In fact, of all the big moments in your life, this is the one which promises to have lifetime consequences. It’s no wonder, then, that young couples often describe the process as terribly nerve wracking. Fortunately, it’s the fact that it’s such a big milestone which causes the nerves rather than any draconian mortgage measures. In fact, modern mortgage applications are very speedy and straightforward, as long as you have the right financial advisors. Having high-quality support is essential, but it is not the end of the story. 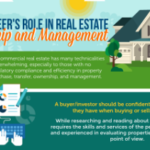 If you’re determined to find an amazing home, it’s time to swot up on your real estate knowledge. The more you know, the better your chance of walking away with an unbelievable deal. 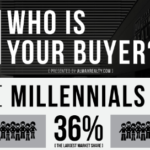 To help you get started, we asked some industry experts about all the things you need to know as a first time home buyer. They were happy to share their knowledge and even reveal a few secrets about the ins and outs of house hunting. Every one of our experts is fully qualified and has experience with some or all aspects of the housing market. For instance, we quizzed landlords, experienced property flippers, mortgage advisors, savings specialists, and lots more. The point is that we’ve ended up with a cool collection of teachings from the people who know house hunting best. What are you waiting for? Start reading and build up your skill set. 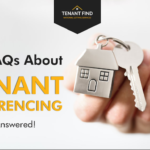 12 FAQs About Tenant Referencing Answered!